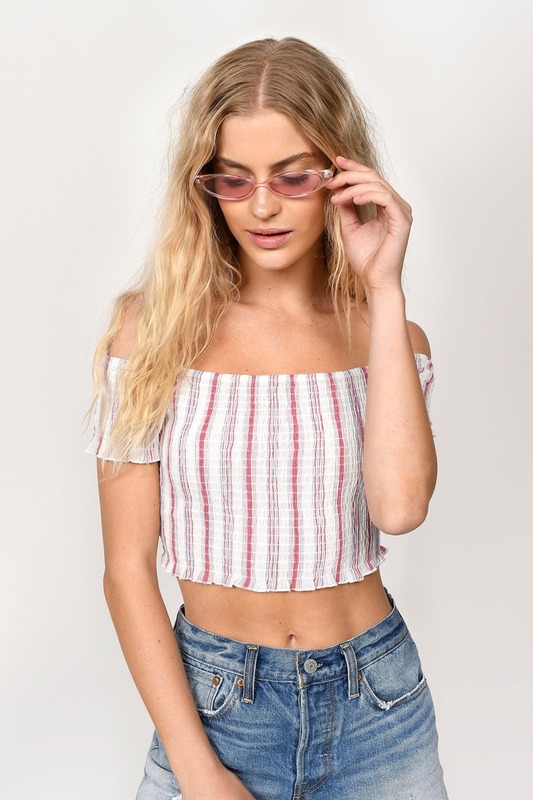 Check out Tobi's Straight To You Stripe Crop Top Smocked and ready for summer, the Straight To You Stripe Crop Top is what you need! Featuring a shirred top with ruffle sleeves and hem on a lightweight cotton weave. 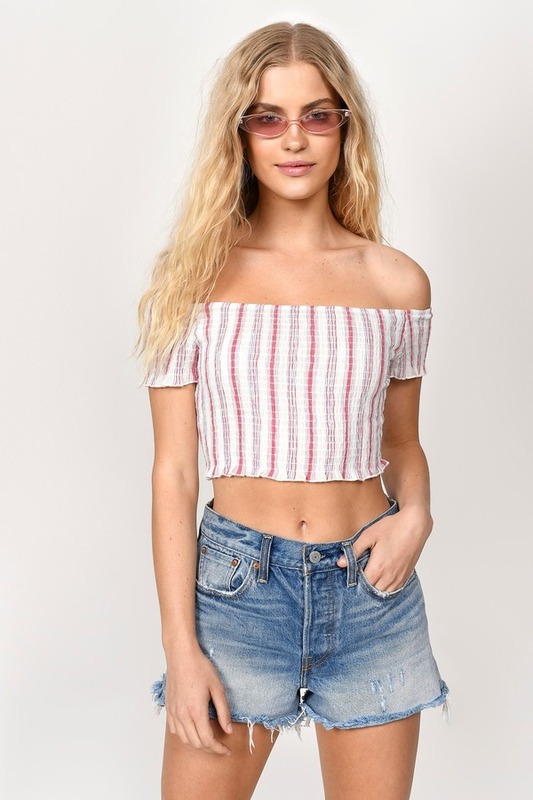 Smocked and ready for summer, the Straight To You Stripe Crop Top is what you need! Featuring a shirred top with ruffle sleeves and hem on a lightweight cotton weave. Blue Multi, Red Multi modeled on a size Small.